Notary Supplies Online has been family owned and operated for over 50 years. 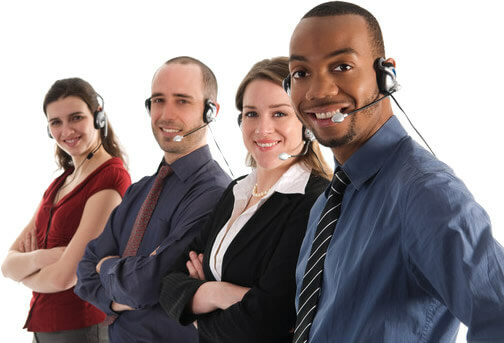 We strongly value our relationship with our customers and offer a warranty and return policy for products purchased from notarysuppliesonline.com. We are a reasonable company and if you purchase an item from us that doesn't work properly for your needs, we want you to work with you. Can my items be returned? You may return any stock, non-personalized items within the applicable return policy period (60 day period of the sale date), products that you purchased directly from Notary Supplies Online for a credit, exchange or a refund of the purchase price paid, less shipping and handling and applicable restocking fees. It is not unusual for Restocking Fees to be waived as long as the item is returned undamaged and in saleable condition. In the event that you must return an item please contact us to for a Return Merchandise Authorization (RMA). Unfortunately, merchandise that has been customized or personalized may not be returned or exchanged. However, in the event that your product is a deemed by Notary Supplies Online to be a defective product that cannot be repaired or replaced, we will work with you to get a new product you are sure to love out to you. We are unable to accept any returns without being contacted first to issue an RMA. Personalized Items or Special Order Items (items with your name on it or any special alteration or that are a custom order) are NON-RETURNABLE AND NON-REFUNDABLE once the item has been put through the manufacturing process and is custom made for you. Notary Supplies Online does not assume liability for misspellings on orders if the information is submitted to our website is misspelled. Personalized Items are covered directly under the product warranty policies. For more information on product warranties, please visit the product warranty page here. Please contact us with any questions about returning or replacing an item. We look forward to helping you! If you need to make a return, please call or email us. In almost all cases, we will want to go over the issue with you because sometimes the issue can be solved by simply troubleshooting. In the event that your product issue cannot be solved by trouble shooting, then we will work with you to the get your products back in our shop for evaluation, exchange, credit, repair or have the product remade. After you have contacted us about a return or an exchange, we will email, fax or mail you a Return Merchandise Authorization form with instructions on how to return your order to us. No Returns are accepted without a valid RMA Number, and the product must be returned within the valid return or warranty policy period. Once we have received your product back, we will evaluate the order to determine the next steps needed. The process will vary depending on whether or not your item is personalized or is a stock product. *Please Note: There are different return policies depending on the product type. If a stock product is returned it must be sent in its original packaging, in like-new or unused condition. A restocking fee may be applicable to open stock products that are found non-defective. This is something we will go over with you once we have received your product back. All Shipping related fees (shipping and return shipping fees) are NON-REFUNDABLE for all products. The shipping fee is a fee that is paid directly to the shipping company, not to Notary Supplies Online; therefore all shipping fees are NON-REFUNDABLE. RMA Number(s) are only valid for a period of 10 days after they are issued. Your return package must be received by Notary Supplies Online within this 10 day period. The RMA Number will not be re-generated under any circumstances. Mistakes - they happen! If you notice a mistake or issue with your order after it has been placed, there is a quick time frame in which changes or cancellations may be made. Contact Us immediately and please have your order number ready to give to a customer representative. If we are able to catch your order before processing has begun, then we can make the requested changes without an additional charge. If your order has already made it to our production team before changes or cancellations were requested, then you will no longer be able to cancel or make changes to your order without being subject to additional charges for changing the order.